United States Holocaust Memorial Museum says PA chairman's remarks blaming Jews for the Holocaust are "an insidious type of anti-Semitism". The United States Holocaust Memorial Museum on Tuesday strongly condemned Palestinian Authority (PA) chairman Mahmoud Abbas’s comments blaming Jews for the Holocaust. 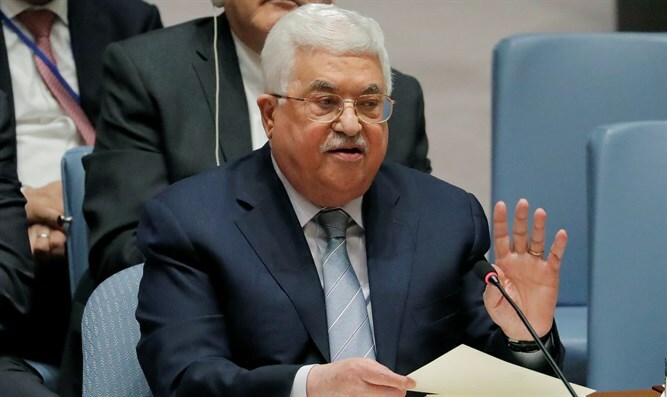 In the speech, made by Abbas at a rare session of the Palestinian National Council, he regurgitated a number of anti-Semitic conspiracy theories in what he called a “history lesson,” seeking to disprove the 3,000-year-old Jewish connection to the Land of Israel. Abbas backed his story with three points made by Jewish writers and historians, starting with the theory that Ashkenazi Jews are not descendants of the ancient Israelite, and that European Jews therefore had “no historical ties” to the Land of Israel. Earlier on Monday, U.S. Ambassador to Israel David Friedman ripped Abbas over the comments. “Abu Mazen has reached a new low in attributing the cause of massacres of Jewish people over the years to their ‘social behavior relating to interest and banks.’ To all those who think Israel is the reason that we don't have peace, think again,” tweeted Friedman. Jason Greenblatt, the U.S. Special Representative for International Negotiations, also criticized Abbas’s remarks. “President Abbas’ remarks yesterday in Ramallah at the opening of the Palestinian National Congress must be unconditionally condemned by all. They are very unfortunate, very distressing & terribly disheartening. Peace cannot be built on this kind of foundation,” he tweeted. The PA chairman has long been accused of anti-Semitism and even of Holocaust denial. In 1982 he published his doctoral dissertation in which he claimed that the publications on the number of Jews murdered in the Holocaust were "exaggerated" and claimed that Zionist leaders worked with the Nazis. Abbas recently insulted Friedman himself, calling him a "son of a dog" and a "settler." Friedman later fired back, saying, "Three Jews were killed in cold blood by the Palestinian terrorists, and the reaction from the Palestinian Authority was deafening. No condemnation whatsoever. I pointed that out, without further adjectives, without further commentary." "Abu Mazen (Abbas) chose to respond. ... His response was to refer to me as the 'son of a dog.' Anti-Semitism, or political discourse? Not for me to judge. I'll leave that all up to you."